We could not expect anything else from the Trump family. 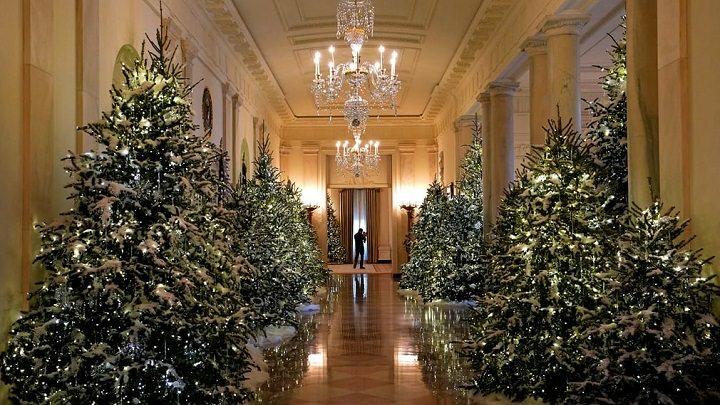 They have already remodeled the White House to their liking changing the decoration of the Obama to bet on something more ostentatious, which is just what has been repeated a few weeks after Christmas begins. Melania, the wife of the president of the United States, has been in charge of showing the press how the most armored house in the world has been inside and out. Some 150 volunteers put their batteries in place since Thanksgiving (they have worked about 1,600 hours) and the result is spectacular, although I have to say that there are certain corners that I do not like at all. The Melania Trump herself was responsible to upload a video to Twitter to share with everyone the decoration of her humble abode. She has carried many accolades, but also many mockeries, especially by a photograph shared by Stephanie Grisham, the Director of Communication of the White House. As you can see just below these lines, the image in question is more Halloween – like than Christmas. It appears a corridor full of white trees that light up creating shadows that remind me personally to those we see in scary movies. Internet users have not lacked time to create fun assemblies. Many have been reminded of “The Nightmare before Christmas”, the great Tim Burton film, while others have joked that Melania may be living in “Del Reves”, referring to the parallel dimension that exists in the series “Stranger Things”. What has not changed is the tradition of choosing a central theme for Christmas decoration. The first lady of the United States has paid tribute to the Nutcracker, a masterpiece by virtuoso Russian composer Pyotr Ilyich Tchaikovsky. Curiously enough, Jacqueline Kennedy did the same in 1961. In total 53 Christmas trees and more than 12,000 ornaments have been placed. In fact, some American media talk of more than 300 meters of garlands, which is said soon. With white as the main color, it must be said that the decoration is less modern than that of previous years. 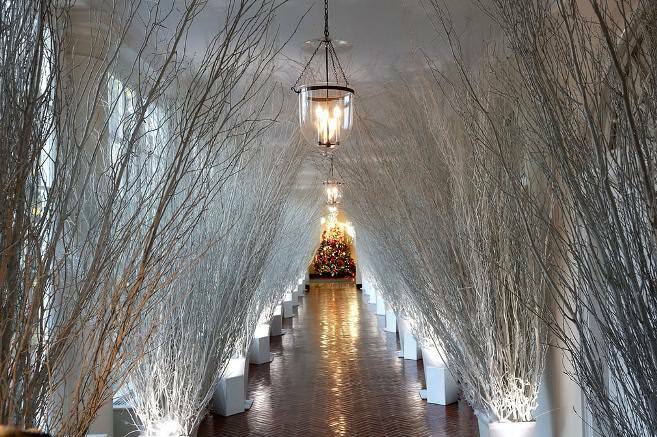 In addition, Melania has wanted to recover the spirit of Christian Christmas including fir trees and a nativity scene. Below you can take a look at the video that Melania shared on Twitter.